Heads up! 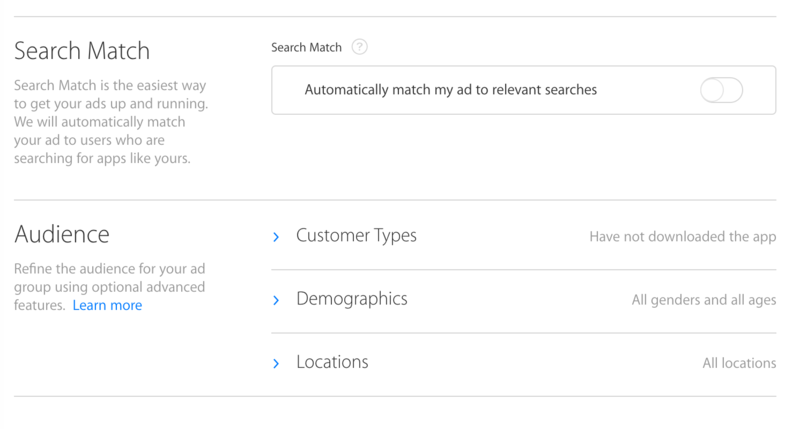 A whole slew of bugs have just today surfaced in the Apple Search Ads platform. The first bug has to do with a remarketing-specific status showing for a non-remarketing ad group. The pending audience size verification error message is being shown for ad groups that do not have remarketing enabled. 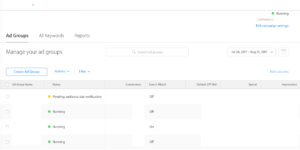 The second bug has to do with keywords from non-remarketing ad groups serving ads to users who do have the app installed, and have also not zeroed out their IDFA or turned on limit ad tracking. 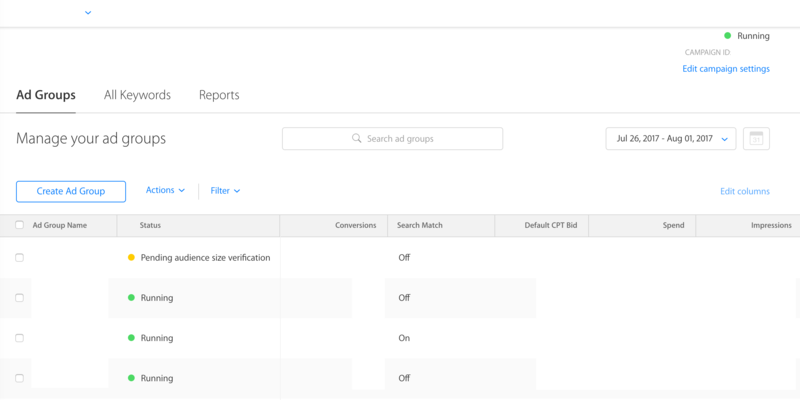 You can test whether your new user acquisition ad groups are serving remarketing ads by ensuring your app is downloaded and that you have not reset your IDFA or turned on limit ad tracking after downloading your app (if you did, just delete and re-download it). 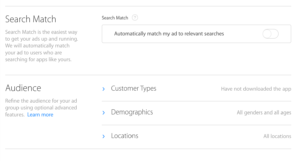 Search for one of your keywords from a non-remarketing ad group to see whether you still do see your ad. Excessively short login timeouts (as short as < 1 minute). Error messages incorrectly indicating that there are no campaigns, ad groups, or keywords. Error messages indicating that ad group settings cannot be changed. It's as of yet unknown how widespread these issues are, or how much of an impact they are having or will have. If you have also discovered issues or bugs, reach out to your ASA rep or the contact us line to raise the issue; the more people who contact Apple about an issue(s), whether this or another, the higher Appel's internal priority to address the issue(s) will be. The Bottom Line: Apple's Search Ads platform is experiencing more than the usual technical difficulties, with implications for performance.